It is a widespread expectation that sea-level rise will drown low-lying islands formed on coral reef platforms and that increased flooding will render them uninhabitable within the coming decades. Such projections are largely founded on assumptions that islands are geologically inert landforms, whereas in reality they have the ability to morphologically respond to changing sea levels. Specifically, overwash processes can raise the island crest level, implying that islands are dynamic and will not drown in place. Such change in perception has implications for how reef island communities can adapt to climate change. This project will investigate the natural adaptation of coral reef islands to sea-level rise. Small-scale laboratory experiments will be conducted in the COAST facility (Plymouth University), which houses a variety of wave basins and flumes with state-of-the-art instrumentation, over two 4-week periods to investigate how coral reef islands adapt to sea-level rise as a function of rate of sea-level rise, wave climate, sediment delivery and reef platform elevation. The physical model results will be used to validate the XBeach numerical model, which is capable of simulating overwash processes and island response, and the model will be used to further explore the relevant factors controlling island adaption. Based on field measurements of reef island and platform morphology, involving RTK-GPS and drone surveys, the numerical model will then be used to evaluate, for different sea-level and wave climate scenarios, the future trajectories of one or several actual coral reef islands (from Maldives, Kiribati or Marshall Islands). Finally, the implications of these trajectories for its inhabitants will be assessed and human adaptation strategies will be explored. The successful candidate will be part of the Coastal Processes Research group, an internationally recognised group of researchers, specialising in field studies and numerical modelling of coastal processes. It is customary for all members of the group to participate in each other’s field campaigns, resulting in organic transference of data collection/analysis skills and subject-specific knowledge. More specifically, this PhD project provides the opportunity to gain a range of advanced skills as the project includes field surveys on a reef island, small-scale physical modelling in a state-of-the-art engineering laboratory and advanced numerical modelling. The PhD student will also spend a significant amount of time at the CASE partner (United Nations Environment World Conservation Monitoring Centre), and also with the external partners, further augmenting their knowledge and skills. We are seeking a PhD candidate with a background in marine science, physical geography, geology or coastal engineering, and with strong numeracy, communication and inter-personal skills, and with a strong affinity for the marine environment. Kench, P.S., Ford, M.R. and Owen, S.D., 2018. Patterns of island change and persistence offer alternate adaptation pathways for atoll nations. Nature Communications, 9, 605. McCall, R.T., Poate, T.G., Masselink, G. Roelvink, J.A., Almeida, L.P., Davidson, M. and Russell, P.E., 2014. Modelling storm hydrodynamics on gravel beaches with XBeach-G. Coastal Engineering, 91, 231-250. Storlazzi, C.D., Elias, E.P.L. and Berkowitz, P., 2015. 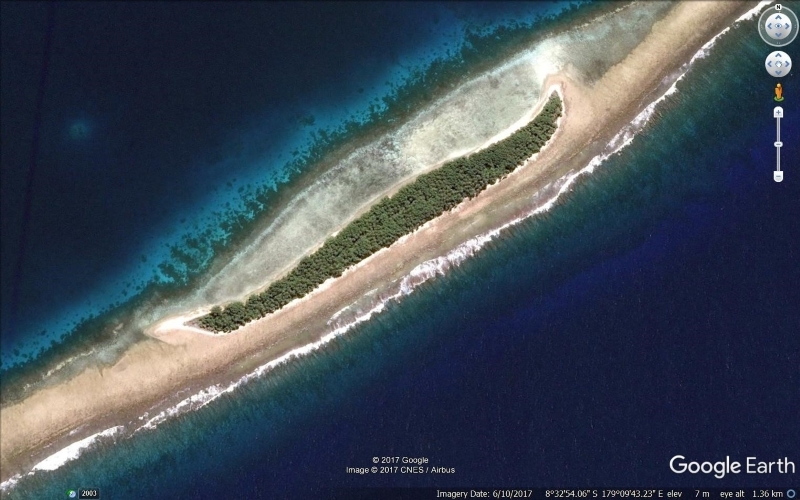 Many atolls may be uninhabitable within decades due to climate change. Scientific Reports, 5, 14546. Tuck, M., Ford, M., Masselink, G. and Kench, P., 2018. Physical modelling of reef platform hydrodynamics. Proceedings International Coastal Symposium (ICS) 2018 (Busan, Republic of Korea). Journal of Coastal Research, SI85, 21-25.